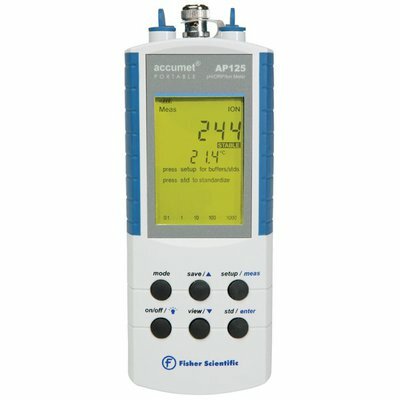 Includes: Meter, accumet combination refillable pH/ATC electrode 13-620-AP50A, refill solution, hard carrying case, sample bottles, pH calibration packets, 9V battery and manual. For indoor and outside use. Versatile and rugged enough for the most demanding applications. Soft touch keys with comfort grip make one-handed operation a breeze. Compact design is small enough for a shirt pocket yet smart enough for any laboratory. 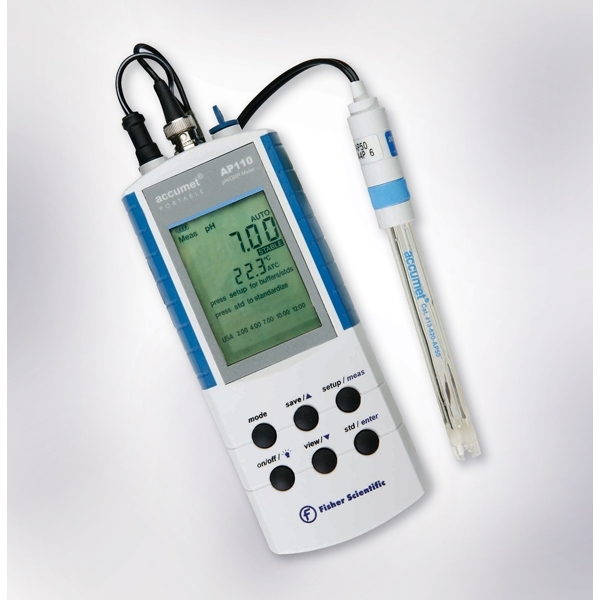 Kit includes an unbreakable accumet pH/ATC electrode that is refillable for fast response and longest life.